Last In Line are the band which began life as a collective which celebrated the life and career of Ronnie James Dio. 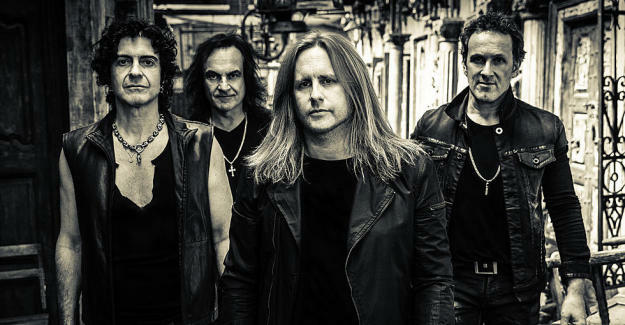 The band of former Dio members soon outgrew their tribute band roots and released their debut album ‘Heavy Crown’ back in 2016. Following the release of ‘Heavy Crown’, guitarist Vivian Campbell’s time was pulled back to Def Leppard in gearing up for the 30th anniversary world tour for ‘Hysteria’ which would extend into early this year. 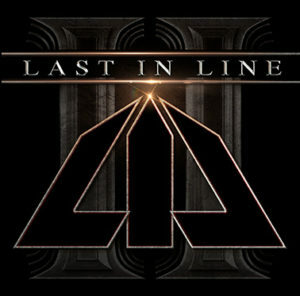 Yet in his spare time from Def Leppard, Campbell and co began work on what would become Last In Line’s second album, ‘II’. Just as there was an evolution from Dio tribute band to ‘Heavy Crown’, there is a progression here with ‘II’. Vocalist Andrew Freeman may have constrained himself initially with the first album, but with ‘II’, the air of caution has been thrown to the wind allowing him to really dominate a decent vocal performance. Moreover, following the untimely death of previous bassist Jimmy Bain, former Ozzy Osbourne man Phil Soussan easily steps up to the plate and provides a solid performance. Furthermore, as expected with ‘II’, there are still traces of that initial Dio sound from the rigid pounding ‘Shame On The Night’ and ‘Lock Up The Wolves’ style opening track ‘Black Out The Sun’, to the Rainbow-esque ‘Sixteenth Century Greensleeves’ staccato riff to ‘Sword From The Stone’. However, tracks such as ‘Landslide’, ‘Year Of The Gun’ and ‘False Flag’ stray more towards a hard rock sound, which does show this band finding their own sound and it is this which makes ‘II’ so easy to embrace. There is enough here from the musicians to point out their individual talents, Vinnie Appice once again stands tall and strong with a rock-solid performance, whilst ‘II’ reminds us that Campbell’s unique talents are wasted in Def Leppard, although he does give us a glimpse of this with a Def Leppard style melodic interlude during ‘Sword From The Stone’. ‘II’ is the sound of a band of seasoned musicians expanding and formulating their sound and whilst it is a still a little rough around the edges, it is another strong, enjoyable album from Last In Line.